See more objects with the color grey darkkhaki darkgrey darkslategrey wheat or see all the colors for this object. This is a Mariner's Astrolabe (replica). It is dated Original: 1602; replica: 1963. Its medium is bronze. Tables for calculating ship position from the sun and stars were published in 15th century Europe, transforming marine navigation from a coastal enterprise to open sea sailing. 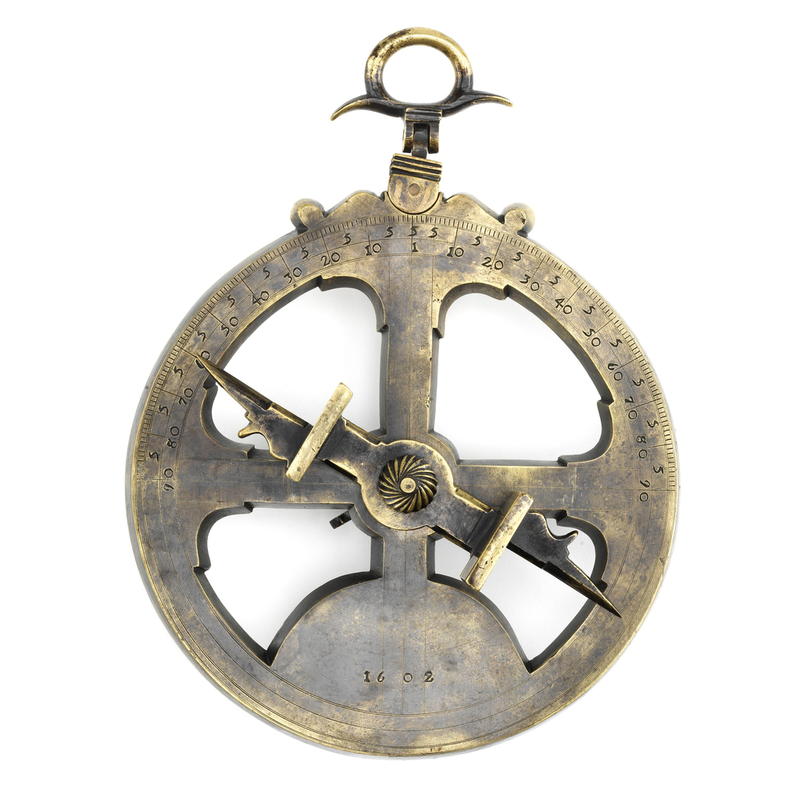 Instrument makers devised new observation tools, including the mariner’s astrolabe, a device that displayed how star position shifted with changes in time and latitude. 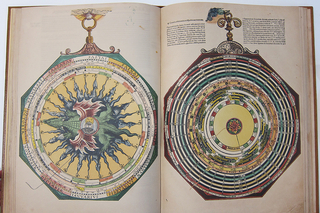 Astrolabes were typically made of bronze or similarly non-corrosive metals and consisted of a heavy wheel attached to a pivoted suspension ring arm, called the alidade. The arm rotated over a scale of degrees on the wheel’s upper quadrants and had two sighting vanes equipped with pinholes that were aligned with either the polestar or the sun. The navigator read the degrees of altitude indicated, measured from either the horizon or the zenith, and determined the ship’s latitude according to astronomical tables. The first documented use of a mariner’s astrolabe was on a Portuguese voyage along the west coast of Africa in 1481 and later evidence suggests that a single ship might carry many astrolabes alongside other aids to celestial navigation. It is credited Smithsonian Institution, National Museum of American History, 323719.